A client had a bespoke identity management app which cached AD group information so they could have autocomplete of group names on a self-service access request webpage. To keep their cache updated they were querying each DC in the domain (over 30) to get the highestCommittedUSN, then picking one at random to get groups with a newer USN. In this way they would never have to do a full sync, even if the DC they usually talked to failed (crazy way of doing it!). We needed a better solution, and I knew a way to do this using standard MS tools. 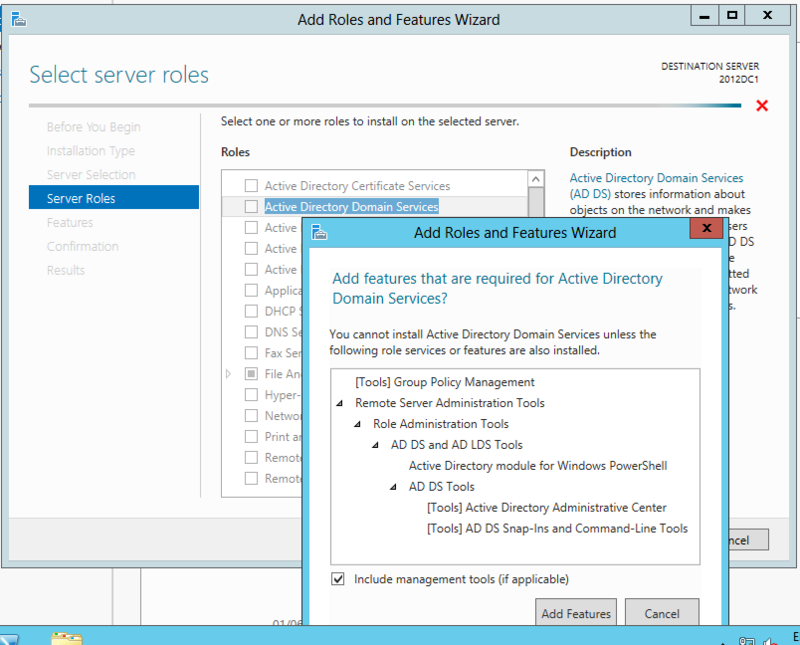 The standard System.DirectoryServices.DirectorySearcher can be configured to take a DirectorySynchronization control which saves a cookie of the directory state when it is run, so only deltas are shown when you run next time. The directory searcher can contain your usual LDAP string, in my case (objectClass=group). I simply created a standard search using DirectorySearcher and then added a new DirectorySynchronization control. On first run, this has the effect of taking a baseline (all groups in this case) and dumping them into a list (this took say 20 secs for 70k groups). A cookie is generated which stores information about the state of the directory at this instant, and I get this with GetDirectorySynchronizationCookie() then write out to a text file (approx 1KB in size). On subsequent runs, this cookie file is read using ResetDirectorySynchronizationCookie() and used to tell the searcher to only pickup changes since last time it was run then output these as a list. Depending on which attributes you specify to return you can get all sorts of changes here, but I specifically wanted add/delete/rename of groups. By specifying ExtendedDN and name as the to attributes this gave me name, DN, objectGUID and objectSID which was sufficient for the identity management app to update its cache. The changes seen are add, delete and rename. Delete is obvious (see below). Whether you add or rename a group it appears the same but of course having the SID or GUID your app can see that this is either a new object or rename of an existing object. I really like Quest’s ChangeAuditor (CAAD) tool. It allow such easy reporting and alerting on (and protection from) changes to your AD forests. There are a few shortcomings though, principally in how users can access the data, e.g. it’s not possible to easily ‘scope’ the console so that non-admin users can see things of interest. It is however a relatively easy to read SQL schema so that we can do custom things with it. One of the things I like to do for all new clients is to setup an ASP.NET website to allow admin staff and users to see information about account lockouts, such as which machine locked it out and when. With the gradual creep of non-enterprise standard devices such as iPads, iPhones etc there are more pressures put on helpdesk staff as there are more places for things to go wrong. iPads/iPhones are particularly bad at dealing with credentials and as soon as you change your domain pw that wireless profile you setup on your iPad is going to keep locking out your domain account! 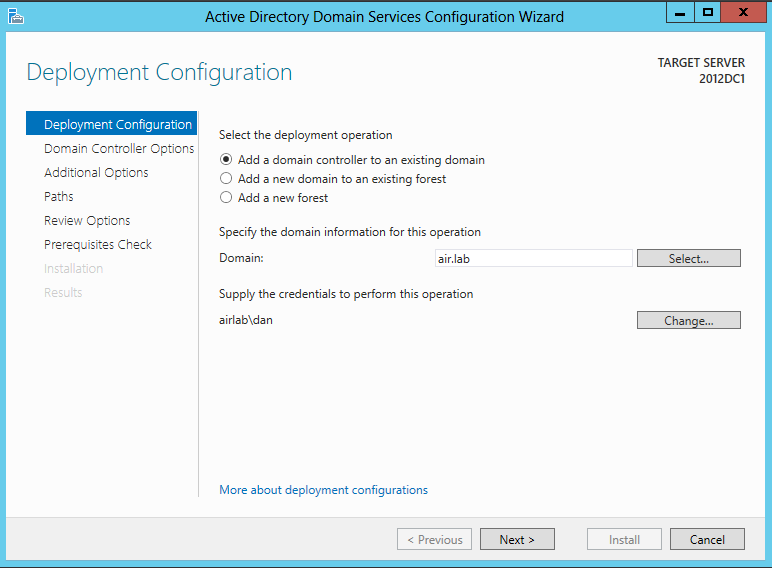 This will show all account lockouts in the last 2 hours for the domains/forests that your CAAD installation manages. You can then run the stored procedure from your ASP.NET page and give all users access to the website, no special permissions required, so they can see from which computer their account was locked out, and at what time. And the iPads? Well typically if a lockout is caused by an iDevice then it is from the wifi profile. Typically the wifi controller will be a Cisco WCS and report itself as CISCO in this tool. So now instruct the users to read the knowledgebase article on the intranet about lockouts, and check this webpage. It’s amazing how the password unlock/reset calls drop away once this is implemented! 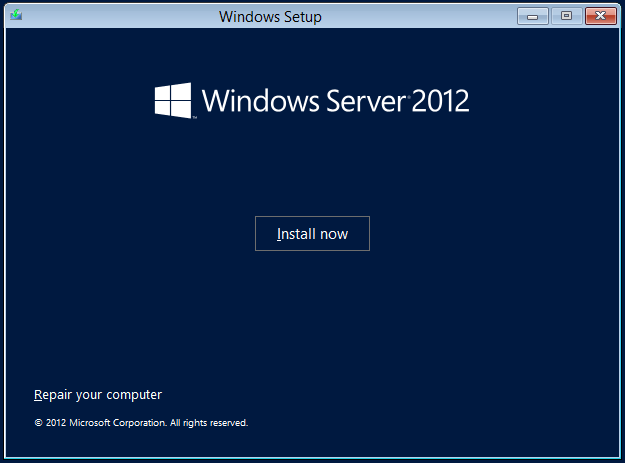 Server 2012 Release Candidate landed yesterday. I decide to install on my portable lab environment, where I already have a Win8 AD setup. VMware workstation doesn’t know 2012/win8 yet so you need to choose ‘install OS later’, then selecting 2008 R2 as the target OS seems to work fine. 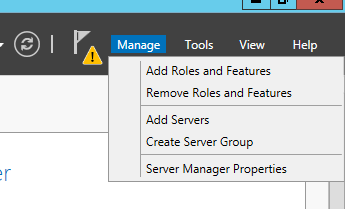 So MS have chosen a nice new blue for server 2012, I like to think there is a focus group somewhere at Redmond that spent ages choosing the particular shade 🙂 I also like the new monochrome logo styling, cf win8/ie10. The install is really quick, not like the good old days. Once installed and networking/computername configured it’s time to dcpromo. This is all done through the role/feature system now. 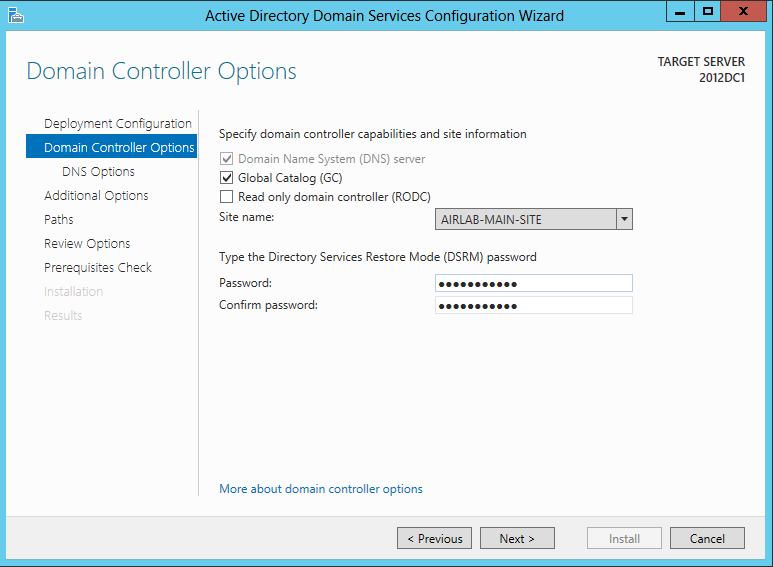 Select Active Directory Domain Services, and DNS (assuming you want this to be a DNS server), then a few next/nexts and Install. 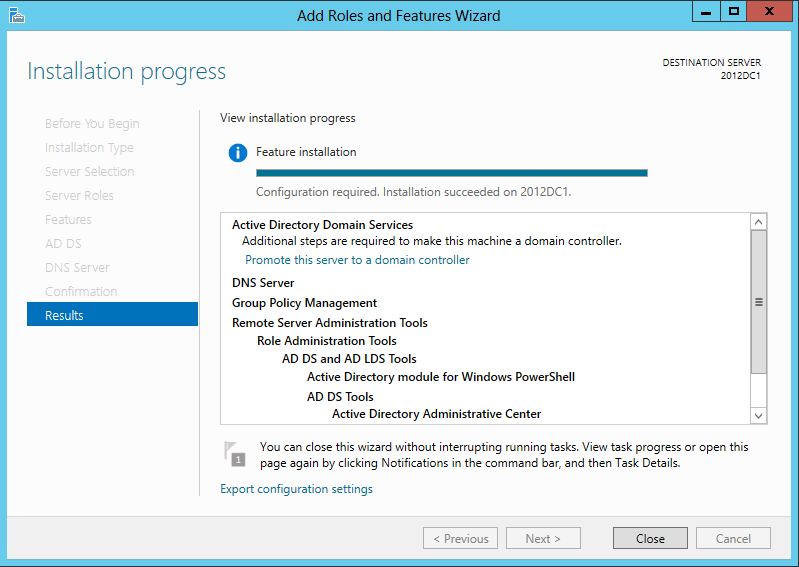 Once installed, next step is to actually Promote this server to a domain controller. The config steps are broadly similar to previous versions (and the same as win8 obviously). 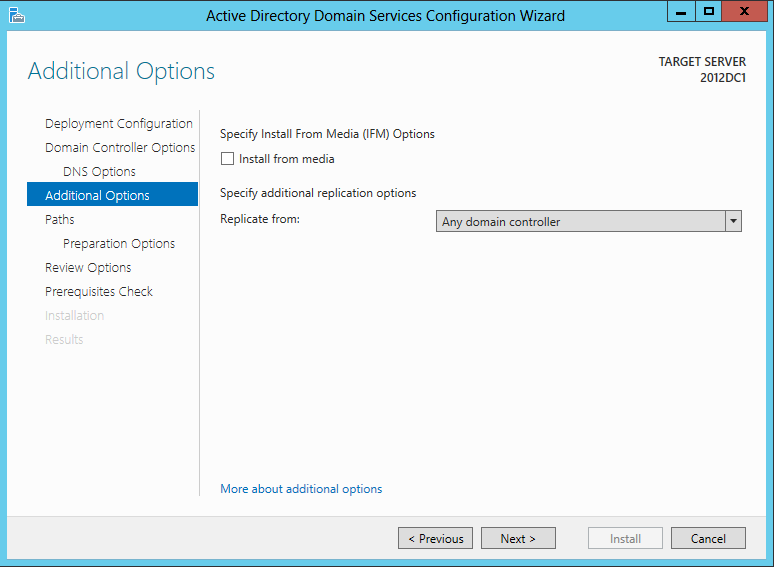 I am adding to an existing Win8 Beta AD domain. 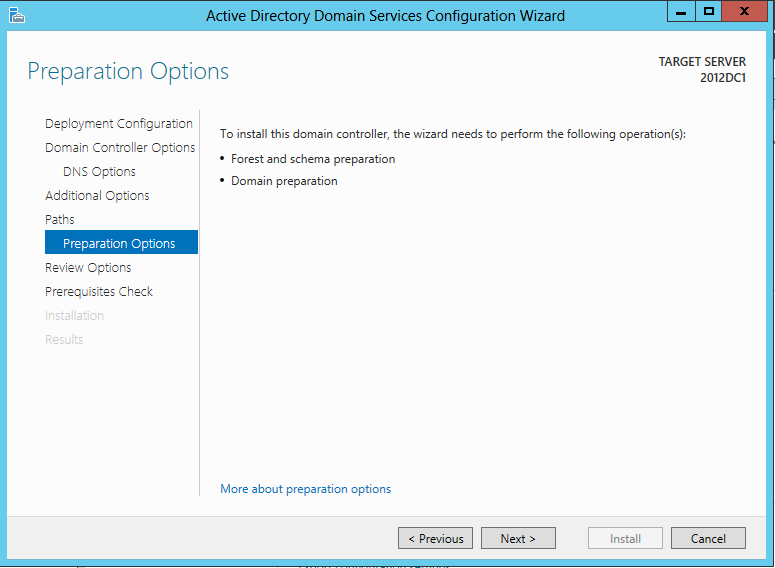 The install when adding to a domain/forest suggests it will need to run the adprep functions. This is being added to a Win8 forest which in theory is the same, but perhaps they have had to do some schema updates to change ‘8’ into ‘2012’ and fix whatever else they found wrong with the beta. But a quick check of msDS-Behavior-Version shows it to be the same level, 5. So all went fine, my win8preview and samba clients can connect with no problems and the domain didn’t spontaneously combust, all replication etc checks out fine. Having said that, I haven’t managed to get the win8 beta version to crash yet, lots of dogfooding by Microsoft means betas aren’t what they used to be! So one of the firewall guys asked me about some drops on port 464 (kpasswd) for a new client location we setup in Paris. I was under the impression MS included kpasswd for UNIX interoperability, as I was pretty sure that MS operating systems didn’t use it. No issues had been reported changing passwords, even though many new users were at the site and would have been forced to change. Some new Windows 7 machines had been installed at the site, some of the first at our organisation (yes we are behind!). So, given that Win7 ALWAYS defaults to KPASSWD (for any 2003 or 2008 domain, trusted or single domain) why isn’t _kpasswd port 464 in the Microsoft list of domain ports that we supply to our firewall teams?